While the world waits in hope for the transition in Sudan, the peace process in South Sudan remains unfinished. Former parties to the conflict continue to take part in the transitional government in South Sudan, but despite agreeing twice to a comprehensive approach to transitional justice in August 2015 and September 2018, its implementation has stalled. The conflict between 2011-2018 has had a devastating impact on civilians, causing the deaths of hundreds of thousands of individuals. 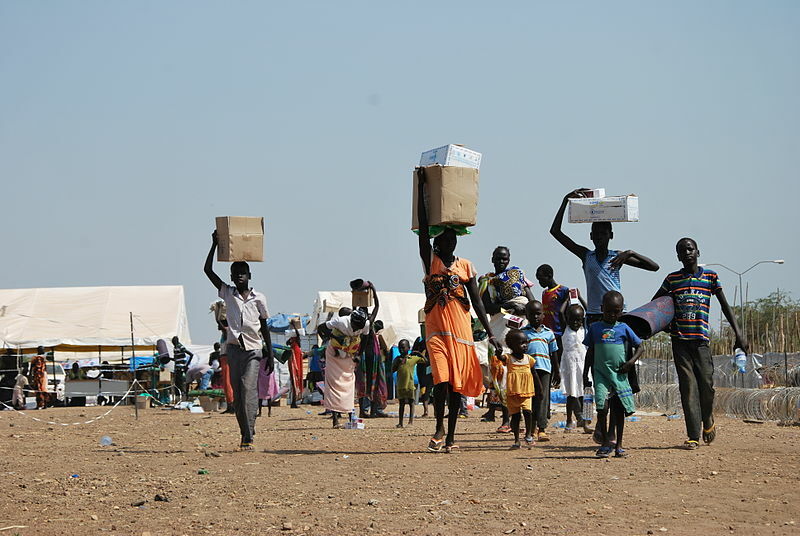 On a macro scale, this is apparent from its annual GDP at independence in 2011 being $17.2 billion to $2.9 billion in 2016, with 2.2 million South Sudanese refugees in neighbouring countries and 1.7 million internally displaced. Along with Stephen Oola as part of an AHRC funded project, Luke Moffett has been conducting research on reparations in post-conflict societies recently publishing a report on the prospects and challenges of implementing reparations in South Sudan. The report is based on engagements with key stakeholders in South Sudan, sharing our findings on reparations in other contexts and assessing their views on the current prospects and challenges for reparations in dealing with the past. The report outlines the political and legal landscape, before detailing provisions on reparations, its resonance with traditional practices of compensation and perceptions of victims. It also draws attention to the legal, political and evidential challenges in implementing reparations, making recommendations on how the South Sudanese government, rebel groups and the international community can deliver reparations. This piece by Luke Moffett highlights some of the findings and recommendations. Fundamentally transitional justice in South Sudan faces some of the challenges of the conflict – a power struggle between belligerents and unaddressed past grievances. The 2015 peace agreement fell apart due to mistrust between senior members of the government, in particular amongst President Salva Kiir and Vice President Riek Machar, which resulted in renewed fighting in Juba and soon after the rest of the country. The conflict to an extent has had an ethnic dimension between members of the Dinka and Nuer communities, which fractured the army (SPLA) and its political wing, the SPLM, along ethnic lines, or at least between their allegiance to leaders like Kiir and Machar. This struggle for power has created little space for trust or partnership, which has caused the rest of the country to suffer. The 2018 peace agreement is a reworking of the 2015 agreement, which under Chapter V include a suite of mechanisms and processes to deal with the past. These transitional justice measures include a hybrid court to investigate and prosecute international crimes, a Commission on Truth, Reconciliation and Healing (CTRH) and a Compensation and Reparation Authority (CRA) and Fund (CRF). Notably, all these mechanisms have the power to award reparations to victims of the conflict in South Sudan. Leaving aside the harm and consequences of the Sudanese civil war that has not been addressed, in the short period of South Sudan’s conflict between 2013-2018 over 400,000 people have been killed. Numerous reports by the African Union, the United Nations and others have documented some of the widespread and systematic violations that have occurred in this short period of time in South Sudan. The scale of victimisation poses a serious challenge in implementing reparations for those killed, never mind the thousands injured, tortured, enslaved, sexually violated, used as child soldiers, lost property and displaced. Conflict destroys more than just individuals but breaks down the social fabric and familial, communal and social bonds. This has important implications for preventing future violence and past grievances becoming tomorrow’s sites of conflict. Reparation to some extent has some significance in the traditional customary adjudication of disputes in South Sudan through compensation. At the local level the payment of compensation through cattle (30-40 head) by the responsible perpetrator and his clan for a murder or serious violation to the victim’s family or clan, can help to restore the ‘social equilibrium’ and avoid blood feuds. Often such payments are associated with symbolic reconciliation ceremonies involving slaughtering of the cattle, sharing of a meal and dancing. However, given the scale of the violence and the role of resource exploitation, such as cattle rustling and oil, it undermines the ability of traditional processes to address these mass grievances. The 2018 Revitalized Peace Agreement sets out a roadmap for the transition, including the establishment of transitional justice mechanisms. For reparations, this will require legislation to be passed to allow the operation of the CPA and reparation fund. Such legislation should be based on the principles of being victim-centred, gender-sensitive, and non-discriminatory that pays particular attention to women and girls as well as the youth who have been disproportionately affected by the conflict. Drawing from the experience of other post-conflict countries, efforts will need to be made to establish a registry of victims along with outreach and consultation to affected communities to improve their access and participation. Consultation, outreach and participation of victims are key processes to enable any reparation programme to be carefully calibrated to respond appropriately and effectively to their harm. In South Sudan, this poses a serious challenge, due to the limited or damaged infrastructure and ongoing insecurity and fighting in certain areas. Reparation to all victims and for all harms is likely to be unaffordable and unfeasible, owing to the scale of victimisation and destruction caused by the South Sudanese conflict. This does not mean that reparations are impossible, but that they will need to be prioritised to those who have suffered the most and through a package of measures, rather than just compensation alone. Other countries have prioritised those most vulnerable, such as those left seriously injured, elderly, young and subjected to sexual violence. In terms of forms of reparations, surveys conducted by South Sudan Law Society and the UNDP indicate that victims prefer compensation and community development projects over symbolic measures, such as memorials and apologies. It may be helpful to use technology such as mobile banking, which is starting to be rolled out in South Sudan, to deliver discretely compensation to victims. Other measures will need to include rehabilitation to provide much-needed specialist medical services to victims, which will be challenging given the devastation and lack of a functional healthcare system. Collective reparations may also be needed to be used to repair the collective harm suffered by communities and between clans. Together this highlights the importance of development and assistance in complementing reparations, by providing wider benefits to all South Sudanese as well as to respond in the interim to victims’ needs. Beyond the South Sudanese government, there is also a role for leaders and members of rebel groups to contribute to truth recovery, location of those disappeared or missing and symbolic measures, such as apologies and acknowledgements of responsibility. The international community and donors have an important part to play in supporting civil society to enable them to effectively mobilise and engage in the transitional justice process. Perhaps if transparency requirements are met, the donor could also provide some funding or loans for the operation of the CPA. The international community and regional actors have an essential role to play in maintaining pressure on the South Sudanese government to meet its obligations around dealing with the past. Despite being the youngest country in the world, South Sudan continues to suffer from its past. Transitional justice can provide tools to delve into understanding past grievances and victimisation as well as the means to start to address them. However, without political will and trust amongst former belligerents to work for the interests of their country and citizens, violence will continue to occur. For victims, this leaves them increasingly vulnerable and imposes further strain on their family and community support network. Reparations should be adopted to alleviate and acknowledge the continuing suffering of individuals and communities, as well as to minimise retaliation and blood debts. However, reparations cannot be a means to buy the silence of victims, those responsible need to be investigated and prosecuted, as well as a wider examination and truth recovery of the conflict. It will require a national and international effort to full reconstruct and repair the destruction and suffering caused by the South Sudan civil war that requires greater global attention and support of local civil society to deal with the past. 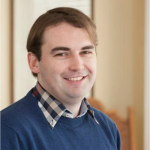 Luke Moffett is a senior law lecturer and Director of the Human Rights Centre at Queen's University Belfast. He is currently principal investigator on the AHRC funded 'Reparations, Responsibility and Victimhood in Transitional Societies' project. <h3>While the world waits in hope for the transition in Sudan, the peace process in South Sudan remains unfinished. Former parties to the conflict continue to take part in the transitional government in South Sudan, but despite agreeing twice to a comprehensive approach to transitional justice in August 2015 and September 2018, its implementation has stalled. The conflict between 2011-2018 has had a devastating impact on civilians, causing the deaths of hundreds of thousands of individuals. On a macro scale, this is apparent from its annual <a href="https://data.worldbank.org/country/south-sudan">GDP</a> at independence in 2011 being $17.2 billion to $2.9 billion in 2016, with <a href="https://data2.unhcr.org/en/situations/southsudan#_ga=2.48421797.2017747448.1555320770-1904118204.1555320770">2.2 million</a> South Sudanese refugees in neighbouring countries and <a href="https://www.unhcr.org/south-sudan.html">1.7 million</a> internally displaced.</h3> <h3>Along with Stephen Oola as part of an AHRC funded project, Luke Moffett has been conducting research on <a href="https://reparations.qub.ac.uk/">reparations in post-conflict societies</a> recently publishing a <a href="https://reparations.qub.ac.uk/assets/uploads/South-Sudan-Report.pdf">report</a> on the prospects and challenges of implementing reparations in South Sudan.</h3> The report is based on engagements with key stakeholders in South Sudan, sharing our findings on reparations in other contexts and assessing their views on the current prospects and challenges for reparations in dealing with the past. The report outlines the political and legal landscape, before detailing provisions on reparations, its resonance with traditional practices of compensation and perceptions of victims. It also draws attention to the legal, political and evidential challenges in implementing reparations, making recommendations on how the South Sudanese government, rebel groups and the international community can deliver reparations. This piece by Luke Moffett highlights some of the findings and recommendations. <h4><strong>Continuing challenges</strong></h4> Fundamentally transitional justice in South Sudan faces some of the challenges of the conflict – a power struggle between belligerents and unaddressed past grievances. The 2015 peace agreement fell apart due to mistrust between senior members of the government, in particular amongst President Salva Kiir and Vice President Riek Machar, which resulted in renewed fighting in Juba and soon after the rest of the country. The conflict to an extent has had an ethnic dimension between members of the Dinka and Nuer communities, which fractured the army (SPLA) and its political wing, the SPLM, along ethnic lines, or at least between their allegiance to leaders like Kiir and Machar. This struggle for power has created little space for trust or partnership, which has caused the rest of the country to suffer. The 2018 peace agreement is a reworking of the 2015 agreement, which under Chapter V include a suite of mechanisms and processes to deal with the past. These transitional justice measures include a hybrid court to investigate and prosecute international crimes, a Commission on Truth, Reconciliation and Healing (CTRH) and a Compensation and Reparation Authority (CRA) and Fund (CRF). Notably, all these mechanisms have the power to award reparations to victims of the conflict in South Sudan. Leaving aside the harm and consequences of the Sudanese civil war that has not been addressed, in the short period of South Sudan’s conflict between 2013-2018 over <a href="https://www.lshtm.ac.uk/newsevents/news/2018/war-south-sudan-estimated-have-led-almost-400000-excess-deaths">400,000</a> people have been killed. Numerous reports by the <a href="http://www.peaceau.org/uploads/auciss.final.report.pdf">African Union</a>, the <a href="https://www.ohchr.org/EN/HRBodies/HRC/CoHSouthSudan/Pages/Index.aspx">United Nations</a> and <a href="https://www.hrw.org/report/2017/08/01/soldiers-assume-we-are-rebels/escalating-violence-and-abuses-south-sudans">others</a> have documented some of the widespread and systematic violations that have occurred in this short period of time in South Sudan. The scale of victimisation poses a serious challenge in implementing reparations for those killed, never mind the thousands injured, tortured, enslaved, sexually violated, used as child soldiers, lost property and displaced. Conflict destroys more than just individuals but breaks down the social fabric and familial, communal and social bonds. This has important implications for preventing future violence and past grievances becoming tomorrow’s sites of conflict. Reparation to some extent has some significance in the traditional customary adjudication of <a href="http://www.pactworld.org/site/default/files/challenges%20of%Accountability_FINAL%20MAY%2016.PDF">disputes</a> in South Sudan through compensation. At the local level the payment of compensation through cattle (30-40 head) by the responsible perpetrator and his clan for a murder or serious violation to the victim’s family or clan, can help to restore the ‘social equilibrium’ and avoid blood feuds. Often such payments are associated with symbolic reconciliation ceremonies involving slaughtering of the cattle, sharing of a meal and dancing. However, given the scale of the violence and the role of resource exploitation, such as cattle rustling and oil, it undermines the ability of traditional processes to address these mass grievances. <h4><strong>Next steps</strong></h4> The 2018 Revitalized Peace Agreement sets out a roadmap for the transition, including the establishment of transitional justice mechanisms. For reparations, this will require legislation to be passed to allow the operation of the CPA and reparation fund. Such legislation should be based on the principles of being victim-centred, gender-sensitive, and non-discriminatory that pays particular attention to women and girls as well as the youth who have been disproportionately affected by the conflict. Drawing from the experience of other post-conflict countries, efforts will need to be made to establish a registry of victims along with outreach and consultation to affected communities to improve their access and participation. Consultation, outreach and participation of victims are key processes to enable any reparation programme to be carefully calibrated to respond appropriately and effectively to their harm. In South Sudan, this poses a serious challenge, due to the limited or damaged infrastructure and ongoing insecurity and fighting in certain areas. Reparation to all victims and for all harms is likely to be unaffordable and unfeasible, owing to the scale of victimisation and destruction caused by the South Sudanese conflict. This does not mean that reparations are impossible, but that they will need to be prioritised to those who have suffered the most and through a package of measures, rather than just compensation alone. Other countries have prioritised those most vulnerable, such as those left seriously injured, elderly, young and subjected to sexual violence. In terms of forms of reparations, surveys conducted by <a href="http://www.ss.undp.org/content/dam/southsudan/library/Rule%20of%20Law/Perception%20Survey%20Report%20Transitional%20Justice%20Reconciliation%20and%20Healing%20-.pdf">South Sudan Law Society and the UNDP</a> indicate that victims prefer compensation and community development projects over symbolic measures, such as memorials and apologies. It may be helpful to use technology such as mobile banking, which is starting to be rolled out in South Sudan, to deliver discretely compensation to victims. Other measures will need to include rehabilitation to provide much-needed specialist medical services to victims, which will be challenging given the devastation and lack of a functional healthcare system. Collective reparations may also be needed to be used to repair the collective harm suffered by communities and between clans. Together this highlights the importance of development and assistance in complementing reparations, by providing wider benefits to all South Sudanese as well as to respond in the interim to victims’ needs. Beyond the South Sudanese government, there is also a role for leaders and members of rebel groups to contribute to truth recovery, location of those disappeared or missing and symbolic measures, such as apologies and acknowledgements of responsibility. The international community and donors have an important part to play in supporting civil society to enable them to effectively mobilise and engage in the transitional justice process. Perhaps if transparency requirements are met, the donor could also provide some funding or loans for the operation of the CPA. The international community and regional actors have an essential role to play in maintaining pressure on the South Sudanese government to meet its obligations around dealing with the past. Despite being the youngest country in the world, South Sudan continues to suffer from its past. Transitional justice can provide tools to delve into understanding past grievances and victimisation as well as the means to start to address them. However, without political will and trust amongst former belligerents to work for the interests of their country and citizens, violence will continue to occur. For victims, this leaves them increasingly vulnerable and imposes further strain on their family and community support network. Reparations should be adopted to alleviate and acknowledge the continuing suffering of individuals and communities, as well as to minimise retaliation and blood debts. However, reparations cannot be a means to buy the silence of victims, those responsible need to be investigated and prosecuted, as well as a wider examination and truth recovery of the conflict. It will require a national and international effort to full reconstruct and repair the destruction and suffering caused by the South Sudan civil war that requires greater global attention and support of local civil society to deal with the past.